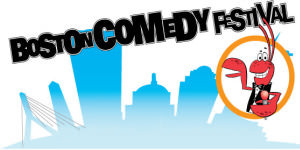 People looking for a good laugh should attend a performance at the Boston Comedy Festival. It's an annual event which has run for more than a decade now. It showcases 96 comics, mostly budding performers, in several different venues in the span of a week. Not only is it a "comic buffet" for comedy fans, it also doubles as a competition, where a final list of 8 comics is selected for a grand finale where one of them ultimately wins the title of "Best Comedian." In addition to awarding the top comedian, the Boston Comedy Festival has also partnered with Emerson College to present a Lifetime Achievement Award to legends of comedy. Past winners of this award include Robert Klein, The Smothers Brothers, Steven Wright and Shelly Berman, to name a few. Some famous performers at past festivals include Todd Barry and Brad Garrett of Everybody Loves Raymond. Along with stand-up performances, there are also short comedy films which the audience has an opportunity to judge. The final winner of these films receives a cash prize of $1000. Also interesting are the improvisation comedy acts, which test the quick wit of the performers. The whole festival is literally a laughing stock, and also doubles as a gold mine for finding talent in the comedy industry. Who will be the next talent to hit the national stage? Tickets generally range from as low as $10 to around $25 for each event, going up to as high as $40 for the finale evening (please check the official web site for current prices). Historic venues include the Davis Square Theater, Cutler Majestic Theater, Charles Playhouse, Dicks Beantown Comedy Vault, and the Improv Asylum, with clubs such as Cheers, Hard Rock Cafe, Hennessy's, and Paddy O's also hosting events in the past. Shows go on simultaneously at these venues and tickets and schedules are available at their website, or at the door of the events themselves. Some of the shows are restricted to people above the age of 21, due to alcohol being served or other reasons. Some venues also accept group reservations. In gearing up for the festival, hundreds of comedians submit their audition tapes in the hopes of landing one of the 96 slots to be in the festival. Competition is fierce as being in the festival can truly be a big break for any one of them, as talent scouts from all over the country present at the different shows. The founder, Jim McCue, himself, a comedian has spent almost a decade entertaining troops overseas. Vin Di Bona Productions is also a major sponsor for the yearly event. The dates of the Boston Comedy Festival can vary each year, mostly due to avoiding a conflict with Red Sox postseason games. Vin Di Bona is responsible for producing the world-famous "America’s Funniest Home Videos" television show. For people who love to laugh and just have a good time (probably everyone in the world? ), this festival is something that you should definitely check out. This is probably a rare time where it will feel good to wear out your cheeks and abdominal muscles, and take your mind off of tumultuous events in the world.